I hope that you have all had a lovely weekend! Bob and I have been away with my sister an her nephew. I have taken lots of photos that I will share with you but they are still unedited on my camera. For today’s Fun Photo Fun I thought that I would share with you Bob’s new hobby. Her daddy enjoys growing vegetables and this year Bob has caught the bug! She loves planting and every time we go into the garden she asks for her watering can. We still have to keep an eye on her, as the other day when my husband was planting peas Bob was very busy pulling out the bean plants that had been planted the day before, but she is definitely a gardener in the making. 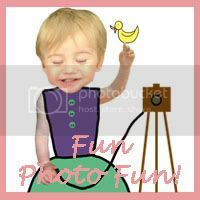 My Fun Photo Favourite from last week was this lovely baby filled post from The Idea Girl. My friend is due to have a baby soon and I can’t wait to take some newborn photos! Hopefully they will look as lovely as these. As a reward The Idea Girl can give me a crash course in newborn photography! 🙂 She can also display the Fun Photo Favourite badge is she wishes. If you have been having fun with photography, editing or you’ve photographed something fun, please link up below. Make sure that you link up the post, rather than your home page as I struggle to find some of your posts when I am choosing a Fun Photo favourite. If you would like to grab my badge or add a text link it would be much appreciated. Also, if you would like to tweet me your links I would be happy to RT them. Don’t forget to choose your favourite using the like buttons beneath each image. 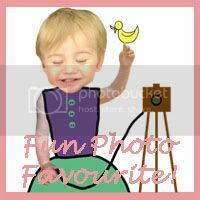 This will help me to choose my Fun Photo Favourite. *By taking part in this linky you are giving me permission to show your photo next week, if it is chosen as my Fun Photo Favourite. I will, of course, link back to your blog. If you enjoy my blog and you have a spare minute please vote for me in the Brilliance In Blogging awards. I have been shortlisted in the video category. To see my videos click here. Linking up with some other Lovely Linkys. What cute photos aww! heheh! That’s great to get them started gardening early. It’s a great way to learn where our food comes from! Sounds like good fun. I agree it’s so good when children know where food comes from! She looks very focused in the photos too! Thank you for hosting and I hope you link up with me at ARoomForTwoWithAView.com! We plant potatoes every year to! The boys love it. Gee, Bob is so cute! It is great that she is gardening. Thanks for hosting. You planted a potato and a baby grew? Cool! She looks so intent on what she is doing. Cute photos. it’s great that she knows where her food came from in reality and is helping to grow them! Tesco is a grocery store? LOL!! Cute! I adore her star jacket. Lovely post – big man isn’t happy that a slug ate his sunflower! Gorgeous photos! Looks like fun playing with the potatoes! 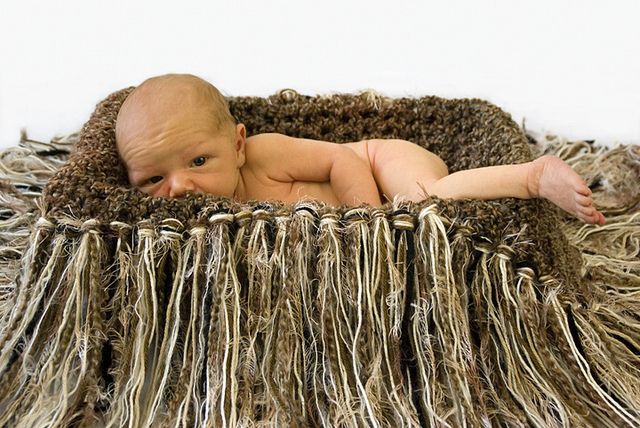 And what a gorgeous newborn photo! Lovely photos of Bob enjoying a spot of gardening with her Daddy, I’m looking forward to seeing your pictures from your trip away – thanks for linking up to Country Kids.